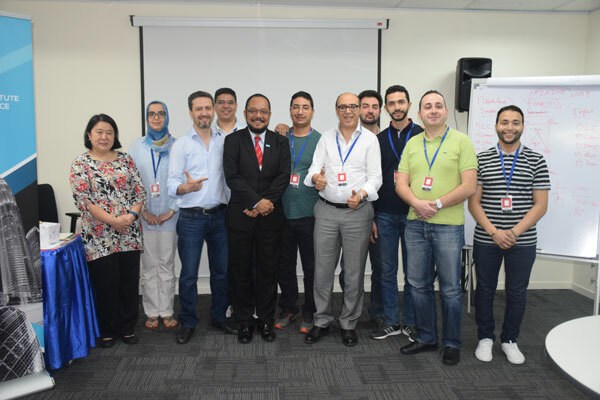 As part of an initiative spearheaded by their institution, nine MBA in Islamic Finance students from Université Internationale de Casablanca (UIC), Morocco were given the opportunity to participate in a study tour which brought them to the shores of Malaysia. The international immersion programme, hosted by INTI International University, was a first for the nine students to experience Malaysia and gain greater insights into the Islamic Finance sector in Malaysia. Through close interactions between both universities, the study trip was developed to help the students from UIC understand firsthand the best practices, challenges and opportunities of Islamic Finance in Malaysia. Led Dr Said Benamar, the Director of Executive Education and an MBA lecturer from UIC, Morocco, the group of students were welcomed to INTI’s flagship university in Nilai where they experienced Malaysian campus life by staying on campus, attending MBA classes with their INTI counterparts and participating in social and cultural activities alongside fellow students. “One of the things I truly enjoyed was the classroom experience. It was great interacting with the MBA students at INTI who are of different nationalities and ages. It was beneficial to hear different views and perspectives on similar topics. I was also very impressed with the lecturers, one of whom taught us the technicalities when thinking about financial strategies. It has been a rewarding trip and I am truly thankful to the team here at INTI for their hospitality,” shared Maria Oudrhiri, a State Engineer in project management in Morocco. The nine executives were also given a masterclass on Malaysian Islamic Finance by Haji Abdul Rahman Mohd Yusoff, the Head of Shariah at OCBC Al-Amin Bank Berhad. The two-hour session engaged the students in discussions and debates about the difference in practices between Malaysia and Morocco. It was a fruitful session for both the speaker and the Moroccan guests as they exchanged ideas, knowledge and information on enhancing the ways of practicing Islamic Finance in their respective countries. “This discussion was an important one as Morocco is very new to Islamic Finance, having just started about a year or so ago. With Malaysia being one of the leaders in Islamic Finance and having established systems and processes, the discussion provided great insights to the MBA students, who are also working professionals, to see how well it is accepted here in Malaysia and how much growth has happened in the industry over the years. I am very proud of the students because they really took the time to engage in discussions with Haji Abdul Rahman that will help them develop their knowledge and understanding on this subject matter,” said Dr Said Benamar. 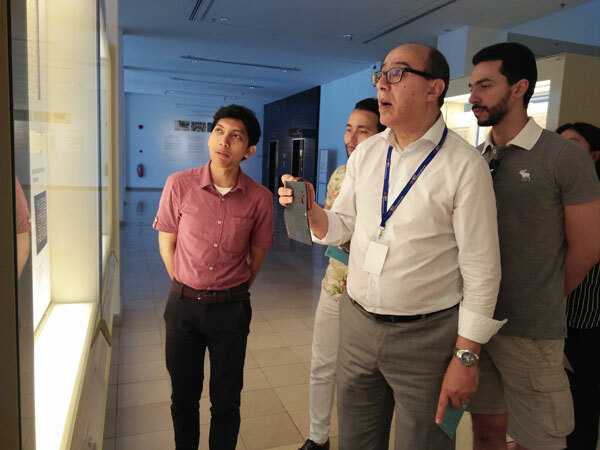 Beyond the academic experience, the group immersed in Malaysian culture by visiting some of Malaysia’s landmarks including, the Petronas Twin Towers, the Islamic Arts Museum, and the Numismatic Museum and Art Gallery of Bank Negara Malaysia. “We are happy to have hosted these students from UIC as it provided us the opportunity to connect with fellow academics and engage in meaningful conversations with learners from different parts of the world. These collaborations enhance international exposure and enables students to gain different points of view on a variety of subjects. Immersion programmes like these are the way forward to connect students and faculty globally and to help them gain true international experiences both in and out of the classroom,” shared Dr Malini Eliatamby, Chief Academic Officer of INTI International University & Colleges. Dr Malini further emphasized that the immersion programme was highly beneficial for INTI’s MBA students who interacted and engaged with these working professionals in their classroom, exposing them to global business perspectives and practices beyond Malaysia. Hosted by INTI’s Teaching and Learning team in collaboration with the Faculty of Business, Communication & Law and the Student Services & Counsel, the trip is the first of many more to come to connect and engage with diverse faculty and students from universities around the globe.